A windswept clifftop, glittering horizon and brooding, crumbling fortifications—all you need for the perfect day out. 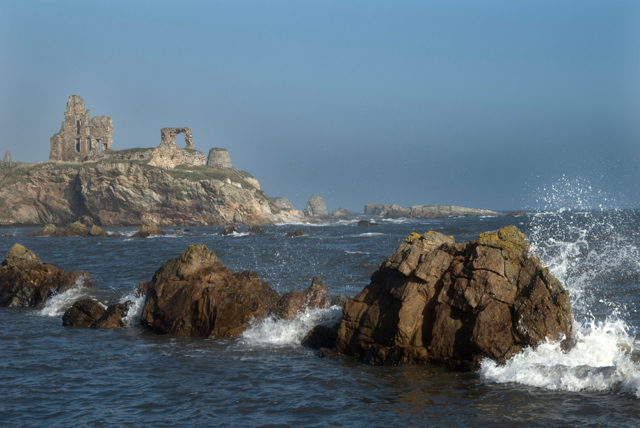 Here’s our pick of six of the best castle ruins by the beautiful briny sea. 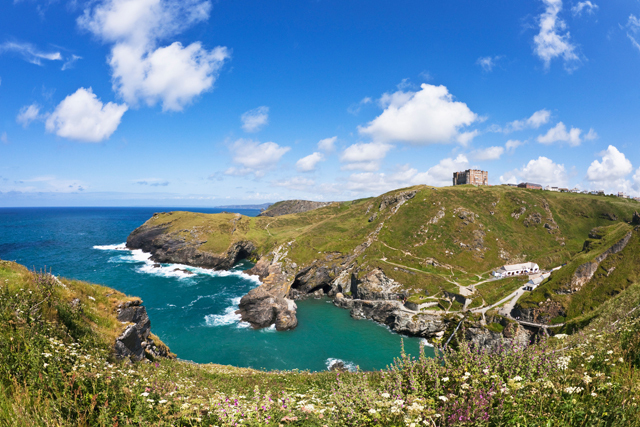 Believed by many to be the birthplace of King Arthur, mighty Tintagel was built by Richard, 1st Earl of Cornwall, who was the second son of King John—that villain of Robin Hood legend. 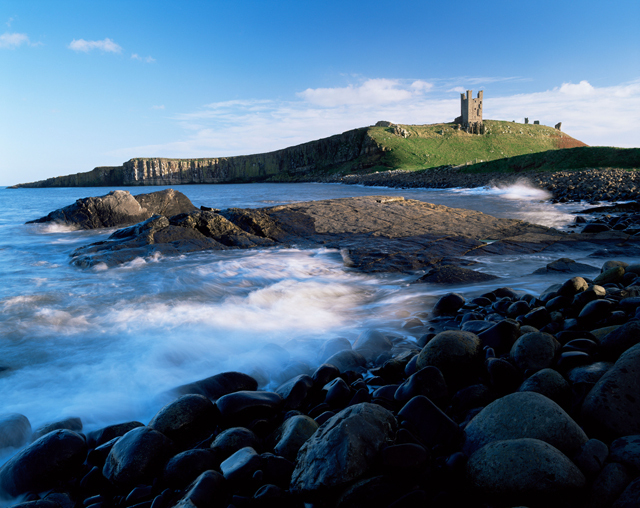 Today, the castle ruins brood over the coast from a rugged cliff top and have provided inspiration for centuries of artists and storytellers. In his Idylls of the King, Tennyson described how the churning waters below carried the infant King Arthur into Merlin’s Cave, directly beneath the cliff, from where the sorcerer scurried him off to safety. 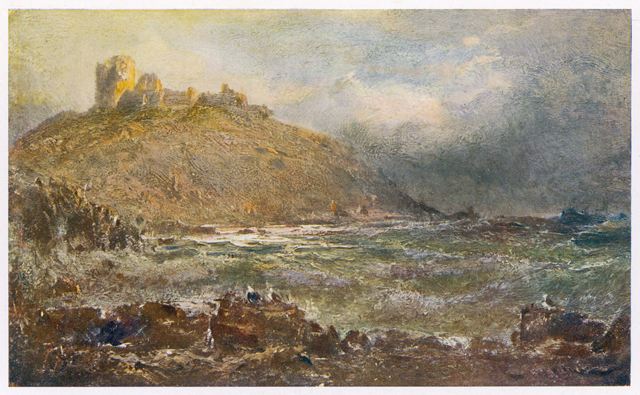 Turner painted 14th-century Dunstanburgh many times—he was so entranced by it that he would drag himself from his bed at dawn and walk the mile and a half from Craster (where kippers come from) to capture it. Built by Thomas, Earl of Leicester and Lancaster, on the site of an Iron Age fort and extensively remodelled by John of Gaunt, it changed hands several times during the Wars of the Roses, from which it never truly recovered. Five centuries later, the castle played a part in another conflict, the Second World War, its ruins incorporated into a defensive network of trenches, with gun emplacements and a minefield, to protect Britain from overseas attack. It’s sturdy walls kept the Honours of Scotland—the oldest set of crown jewels in the British Isles, now at Edinburgh Castle—safe from Oliver Cromwell’s army during an eight-month siege. 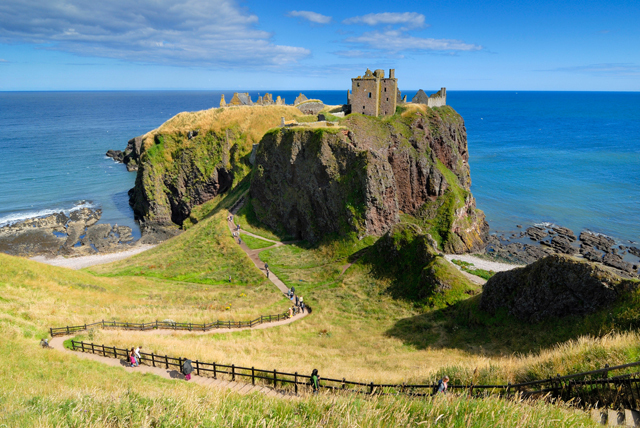 Dunnottar has also played host to William Wallace, Mary, Queen of Scots, and Charles II. After its owner, the Earl of Marischal, was convicted of treason for his part in the 1715 Jacobite rising, the castle was neglected for the best part of 200 years. The ruins, perched on a rocky outcrop all but detached from the mainland, include a superbly restored drawing room. Whatever your age, if you’ve ever been entranced by Cair Paravel, palace home of the Narnian kings and queens, then Dunlace beckons. 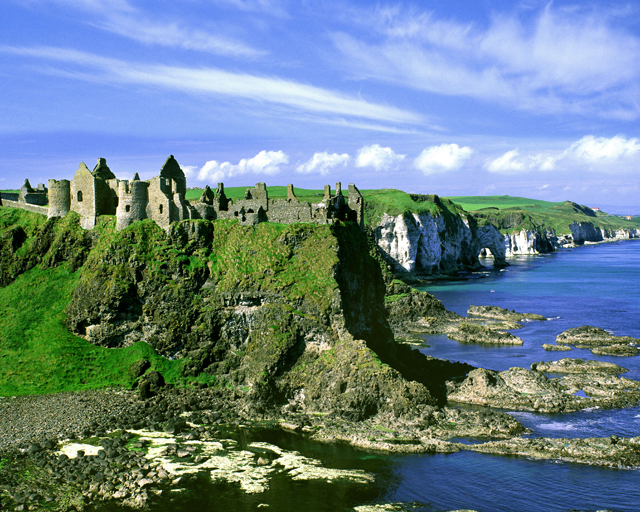 Just a few miles down the coast from Giant’s Causeway, this medieval castle is thought to have inspired C. S. Lewis to create a magical world. It was fought over for centuries—the site has been defended since at least 500AD—and was, at one time, owned by Sir Winston Churchill. Apparently, one stormy night in 1639, the part of the castle that housed the kitchens fell from the headland into the sea, taking seven cooks with it and, from then on, the rest succumbed to Nature. Visit if you dare—just try to remember your way back the wardrobe. Built by legendary Prince of Gwynned, Llywelyn the Great—one of only two Welsh rulers great enough to be termed ‘the Great’—in the 13th century, Criccieth Castle was captured by Edward I and extensively refortified to include, among other things, an enormous, deadly stone-thrower. It was later used as a prison, which could be where the castle got its name—in Welsh, crug caeth means ‘hill’ and ‘captives’—before being burnt down in the early 15th century by Owain Glyndwr, the last native Welshman to hold the title of Prince of Wales. The intimidating twin-towered gatehouse and outer walls remain intact, surveying the mist- and mountain-fringed Cardigan Bay from their rocky promontory. The least well-known of Britain’s three Newark Castles (the others are in Northamptonshire and Glasgow), this perilous relic occupies a lonely, crumbling clifftop overlooking the Firth of Forth, about a mile outside the village of St Monans, named for an equally little-known martyr. It is thought that Alexander III, King of Scots, spent a portion of his childhood here. By the mid 1600s, it was home to David Leslie, battle-worn cavalry officer and Royalist general in the English Civil War, who, after a nine-year stint in the Tower of London, returned to his windswept home, becoming 1st Baron Newark. It’s likely that it was he who turned part of the castle into a Renaissance mansion, the remains of which can be glimpsed today. These glorious sculpture parks can be admired all year round.